The Amsterdam Dance Event is now seen as the world’s leading electronic music conference and proving ground for artists and record labels alike. 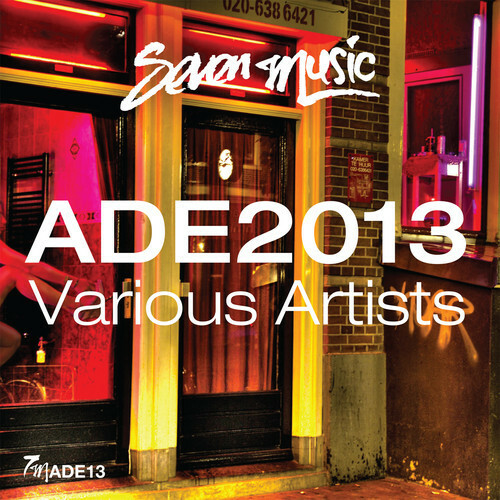 For this year’s ADE, Seven Music have compiled a 7 track sampler to showcase the label’s freshest talent and current roster. L.A’s Rhythm Operator openings proceedings with a deep, Techno inspired House track. Label boss SCOPE returns to the world of production after a 2 year hiatus.. Let Yourself Go is a no nonsense, straight up Houser. Cut up vocals, big stabs and a pulsating bassline mark the stalwarts return! Jackmaster K returns after his excellent vinyl only EP on Seven Music last month.. One Day is yet another intricate mash-up of U.S House & U.K Garage as you would expect from one of the U.K rising stars. Leeds based Death On The Balcony also return to Seven Music with a teaser track ‘No Balance’ from their follow up EP, which will be due out in November. Man of the moment ‘montel’ serves up the fifth track on the sampler with ‘Hold On’. Here he demonstrates his versatility, deliver a deeper House track with strong NYC Garage flavours and also some Bass influences too. Glasgow Underground star Barrientos turns a dope reworking of Almost’s ‘Colour Me’ cut from 7M029 and to round off proceedings Jackmaster K jumps back in the mix with another cut up Garage House groover which is reminiscent of early David Morales and Roger Sanchez productions. 7 BRAND NEW cuts to showcase one of the U.K’s best House music imprints.. ADE, here we come!